The Swamimalai Murugan temple is located on the banks of Cauvery river and is dedicated to Lord Murugan, the son of Lord Shiva and Goddess Parvati. 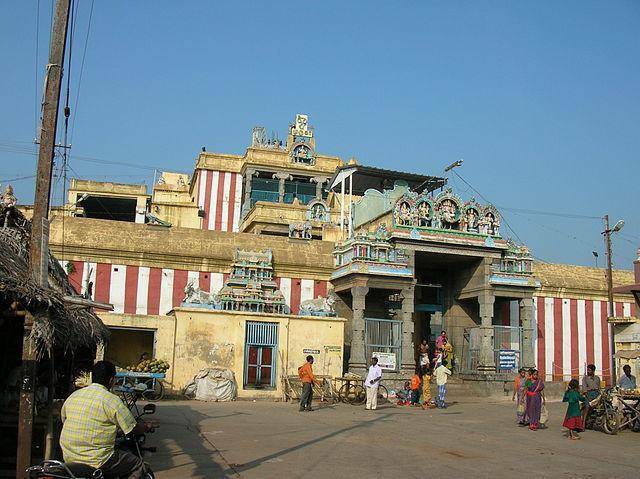 The temple is an important pilgrim center for the devotees of Lord Murugan. It is one among six holy abodes of Lord Murugan (Aarupadaiveedu). As per Hindu Mythology, at very young age, Lord Muruga preached the “Pranava Mandiram” to his own Father, Lord Shiva in this place. One needs to climb 60 steps to reach the temple. These 60 steps are named after 60 Tamil Years. The hillock over which the temple is built is actually an artificial hill.